Witch hazel is a plant. The leaf, bark, and twigs are used to make medicine. You may see a product called witch hazel water (Hamamelis water, distilled witch hazel extract). This is a liquid that is distilled from dried leaves, bark, and partially dormant twigs of Hamamelis virginiana. Witch hazel is taken by mouth for diarrhea, mucus colitis, vomitingblood, coughing up blood, tuberculosis, colds, fevers, tumors, and cancer. 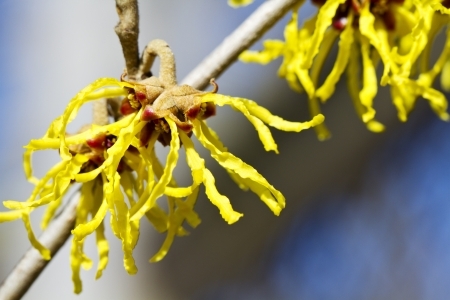 Some people apply witch hazel directly to the skin for itching, pain and swelling (inflammation), eye inflammation, skin injury, mucous membrane inflammation, varicose veins, hemorrhoids, bruises, insect bites, minor burns, and other skin irritations.